Black jacket covering twisted cables above Y-joint, with a small amount of red heat shrink to indicate the right channel. 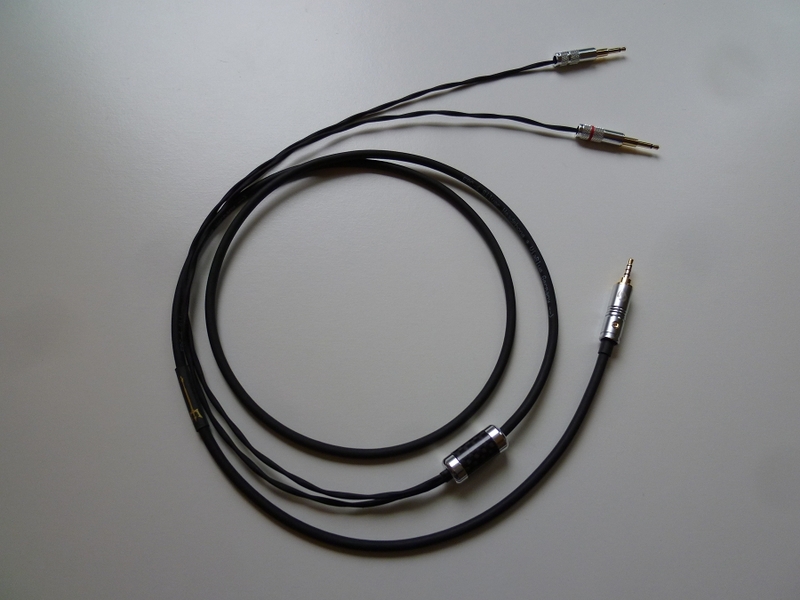 Optional adapters to use balanced cable for use with standard stereo 3.5mm connections. Made from 6" inches of same cable/wire of ordered headphone cable and colored matched. The cable is much better than the original. Deeper bass, better definition, smoother, plays louder with less noise. Very musical. Highly recommended.... and doesn't cost a lot. I now listen to a hole song, with the original cable I use to listen to only half the song than move on to the next one.